Remington UMC ammunition is a fantastic combination of performance and affordability. 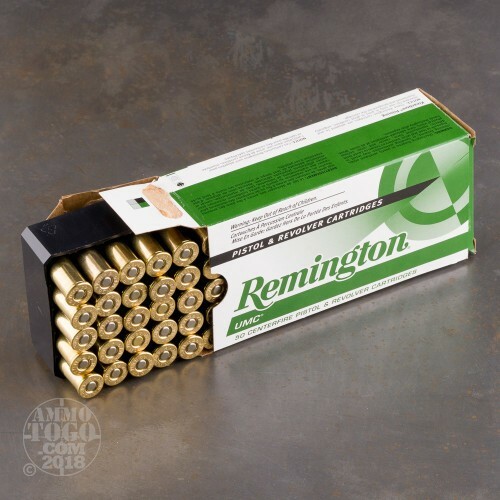 These 44 Mag rounds are loaded into factory fresh brass cases that are boxer primed and re-loadable. Each projectile in this case of 500 is a 180 grain jacketed soft point that leaves the barrel around 1,610 feet per second. 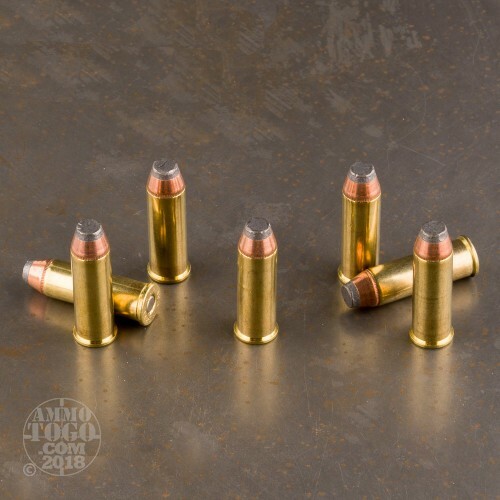 These are versatile rounds and can be used for quality range training, hunting and self defense applications. The JSP bullets provide controlled expansion and deep penetration. 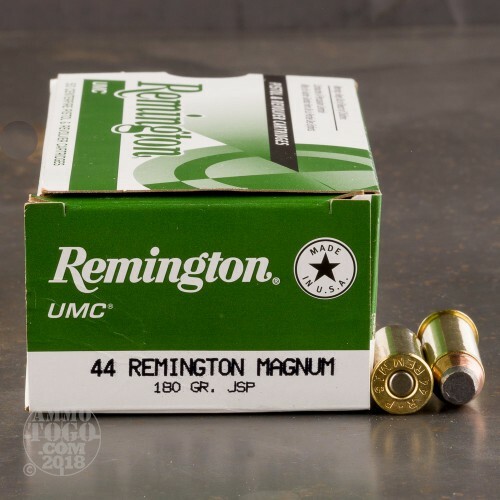 Remington is America's oldest firearms manufacturer and has been in business since 1816. 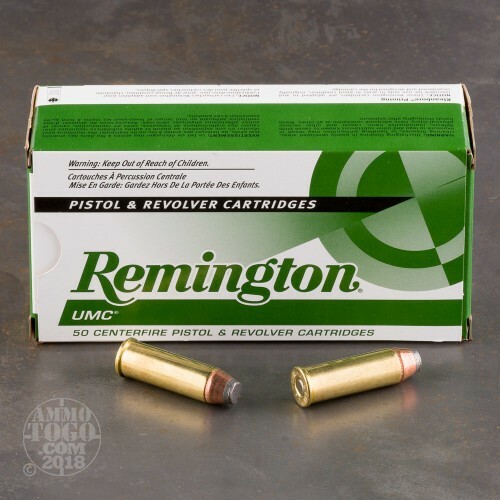 Remington and Union Metallic Cartridge merged in 1912 and the Remington UMC brand name was born. Their ammo is now produced in Lonoke, Arkansas using high quality powders and Kleanbore primers.